Discover the best plans and things to do in Barcelona to enjoy your stay. Winter is a great time to spend in Barcelona. We can enjoy a “smooth cold” weather with higher temperatures than the rest of countries of Europe, and if we are snow-lovers, we can drive to Pyrenees and live a great journey skiing or snowboarding one of the most beautiful cordilleras in Europe. However, since we are in March winter is almost over. But don’t worry! Amazing plans and activities are a constant in the Catalan capital. In this article we will discover that march is, indeed, a month of celebrations in Barcelona. Arrival of spring means higher temperatures, blooming trees and flowers and sunny days, which is the best scenario to walk around this wonderful city and fall in love with its unique personality. What to do in Barcelona in 2018? 2017 is finishing. The last days of the year are the perfect time to look back and smile happily to the finishing year remembering the best moments of it. But it is also time to think about what is waiting for us in 2018. We don’t know what destiny prepares for you in the next year, but we know, indeed, the huge number of events, activities and possibilities that will take place in Barcelona in 2018. Barcelona is one of the most famous cities all round the world. The characteristics of the Catalan capital make of it a desired destination for tourists, no matter the season of the year. Despite most people visit this Mediterranean jewel during summer months, Barcelona has a wide range of possibilities either in summer and winter. The exceptional weather conditions, with warm summers and pleasant winters with temperatures much higher than the rest of Europe, make possible visiting Barcelona whenever we have some holidays. Additionally, travelling to the Condal City in winter is cheaper because it is tourism low season. We won’t be able to take a bath in the beach, but we will enjoy the unique charm of Barcelona on Christmas. Barcelona is a wonderful city to visit, either travelling alone, with friends, with your partner or even the whole family. If you’re travelling with children, the possibilities are infinite. The offer of family plans in Barcelona is huge: visiting Tibidabo’s theme park, where we can have fun and enjoy a panoramic view of Barcelona, feeling like Messi with Camp Nou tour, discovering and learning about aquatic fauna in the Aquarium… There are many options while visiting Barcelona in family. In this post, we recommend 5 plans to enjoy Barcelona in family. In Spain, all Saints is a celebration with lots of tradition and tones on meaning both for religious and lay people. The 1st of November is a day to remember our beloved ones, the ones we share our life with and the ones who left. The 2nd of November is Deceased Day and dead are supposed to visit us. That’s why on 1st of November we visit the dead. Every year, there are plenty of activities for both saints and sinners during the night of All Saints in Barcelona. From parties with music and costumes to nocturnal walks through cemeteries. Barcelona is worldly known thanks to its beaches, its beautiful modernistic buildings, its cosmopolitan environment and its multiculturality. But the capital of Catalonia is much more than that. In fact, mountains and parks in Barcelona are also a really important part of its landscape. This city gathers together sea and mountain, and that fact provides some landscapes and viewings unique in the world. La Mercé is the greater annual city festival in Barcelona and it’s celebrated since 1868 to honour the Virgin of Grace (Mare de Déu de la Mercé in Catalan) who is Barcelona’s patroness. This city festival take place all around the streets of Barcelona from the 22nd to 24th September, but since this year 24th September is Sunday, Monday 25th will also be celebrated. That’s right! La Mercé 2017 is one day longer! In this post, we’ll give some tips to enjoy La Mercé and we’ll present 10 plans you can’t miss during the celebration of this amazing festival full of Mediterranean culture and Catalan tradition. 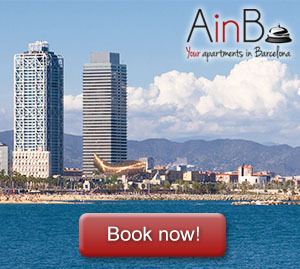 Barcelona is worldly known by its Mediterranean beaches and its cosmopolitan architecture. But the Catalan capital is much more than that. In fact, one of the most beautiful things of this city is the combination of sea and mountain in the same area. You heard right! You can visit the hills of Barcelona without leaving the city. Among the hills of Barcelona, there’s one that you probably already know: Montjuïc. One of its sides is located just next to the sea, while the other one is next to Plaza España, a beautiful square where you can find a shopping centre built in an old bullring, a great classic fountain and two big towers inspired by St. Marco’s Tower in Venice. Barcelona is a wonderful city to visit, no matter if you travel alone, with friends, with your partner or even the whole family. This Mediterranean city has such a wide offer of tourism and entertainment, so it’s almost impossible having a quiet day. If you’re travelling with children, the possibilities are infinite. The offer of family plans in Barcelona is huge: from a visit to Camp Nou where children can feel like their idols Messi or Iniesta to discovering and learning about aquatic fauna in the Aquarium. In the lasts weeks of August, we usually think about coming back to our jobs again. Our holidays are almost over and the routine is just around the corner. This could be a difficult time, but it’s not if you are in Barcelona. We’ve just enjoyed the party of Festes de Gràcia, but now it’s time to celebrate Festes de Sants! Festes de Sants take place from 19th to 27th August, and they are considered as a great summer party in Barcelona.